Today Aron D’Alesio is announcing his self-titled debut LP with the premiere of the album’s first single “Diamond Ring” on Creator Class. 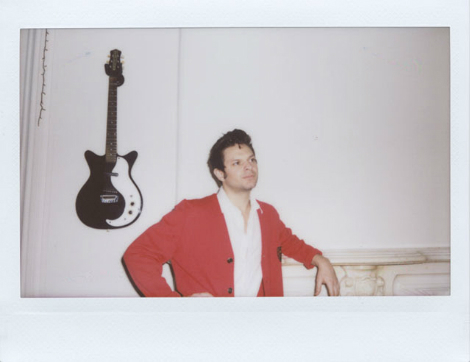 The track exemplifies the album’s studied bedroom pop, showcasing D’Alesio’s ear for arrangement and the subtle textures of his production, as the track builds from a simple vocal line accompanied by a lone guitar into an orchestral swirl of interlaced melodies imagined in D’Alesio’s late night sessions in his basement studio. Aron D’Alesio will be released on August 25th on Paper Bag Records. The video “Diamond Ring” was directed by the award-winning Justin Singer, who has previously made videos for Harrison and Chastity. That is comprised of some of the first footage shot on Canon’s new C700 camera, and in a beautifully shot 4 minutes captures a small town resident’s experience of ex-urban isolation in the bleak winter months, in an emotionally poignant performance from the videos lead, the actor Andre Johnson, which is perfectly mirrored by the wistful tone of the song.